PLEASE DO NOT TOUCH. Thank you. Just in time for Halloween, we give you a truly creepy animal: the Horror Hairy Frog from Cameroon. Not only are the bristly skin appendages truly unsightly, this amphibian also has a nasty little trick up its hands. 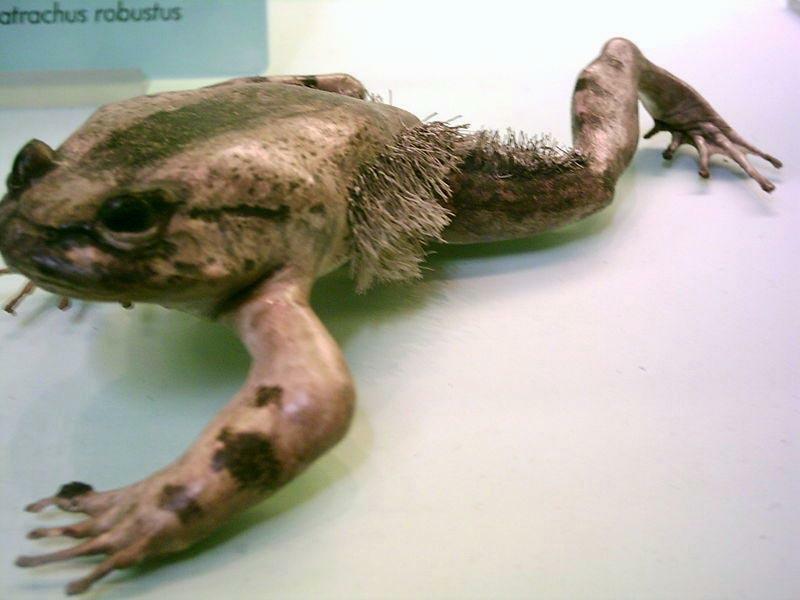 Through a bizarre twist of evolution, the Hairy Frog literally breaks its own bones as a defense mechanism. 1. Hairy Frog is threatened. 2. Hairy Frog breaks its tiny finger bones, puncturing the toe pad skin: Exhibit A. 3. 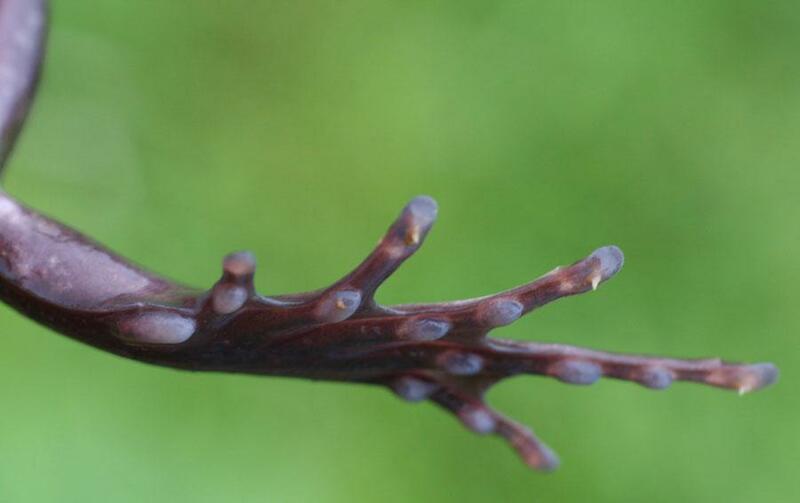 Hairy Frog effectively creates claws, made of bone: Exhibit B. 4. Hairy Frog can now defend itself, or at least clamor away from a potentially deadly situation. Everyone is creeped out. (Ex. A) Just got them claws did. (Ex. B) Tiny frog hand. Bones piercing through it. WTF? Yeah, like wolverine only scarier because IT’S A FREAKING FROG. this thing is werid amjen how many time u would need to break ur fingers and when u get attct and u try to break them again….. OUCHH!!!!!!!!!!!!!!!!!!!!!!!!!!!!!!!!!!!!!!!!! !